The joint effort is aimed at determining innovative new ways to keep massive amounts of stored data available for rapid access. “We see huge opportunities to bring power-aware cold storage to the market as organizations—including and beyond the Department of Energy—seek new ways to address data storage in resourceful ways,” said Gary Grider. 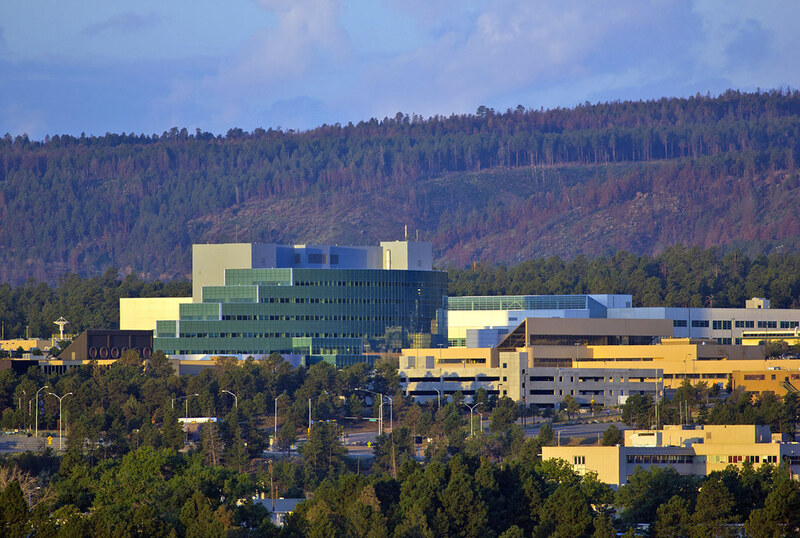 LOS ALAMOS, N.M., March 21, 2016—Seagate Technology (NASDAQ: STX) and Los Alamos National Laboratory (Los Alamos) are researching a new storage tier to enable massive data archiving for supercomputing. The joint effort is aimed at determining innovative new ways to keep massive amounts of stored data available for rapid access, while also minimizing power consumption and improving the quality of data-driven research. Under a Cooperative Research and Development Agreement, Seagate and Los Alamos are working together on power-managed disk and software solutions for deep data archiving, which represents one of the biggest challenges faced by organizations that must juggle increasingly massive amounts of data using very little additional energy. “We see huge opportunities to bring power-aware cold storage to the market as organizations—including and beyond the Department of Energy—seek new ways to address data storage in resourceful ways,” said Gary Grider, division leader of high-performance computing (HPC) at Los Alamos. Typically, organizations using HPC systems must migrate their data from fast parallel-file systems to slower, more cost-efficient “cold” storage technologies. This approach, however, is problematic for organizations that require frequent access to research data, because that data tends to reside on static media, which is slow to access and could jeopardize the quality of research—especially when real-time analysis is critical. The new dynamic storage research project will leverage the technology behind Seagate’s recently released ClusterStor® A200 system. This system uses automated, policy-driven hierarchical storage management to non-disruptively migrate data off expensive primary storage tiers while keeping it online for fast retrieval, which significantly reduces costs in time and operations. High-density, power-managed prototype disks are intended be a key element of the research program. This is the first of several projects Los Alamos and Seagate are planning to collaborate on to enhance, develop, and deploy cutting-edge solutions for some of the most challenging HPC storage problems. The organizations already have a long-standing relationship, with Seagate providing storage for the national laboratory’s Trinity supercomputer. The supercomputer, which will soon conduct simulations crucial for national security, relies on the Cray Sonexion 2000 system Powered by Seagate for its scale-out storage capabilities. The archiving research program could result in future products that meet the deep-archiving storage needs of industries such as cloud providers, weather modeling, financial services, life sciences, and media and entertainment. Seagate creates space for the human experience by innovating how data is stored, shared, and used. Follow Seagate on Twitter, Facebook, LinkedIn, Spiceworks, YouTube and subscribe to our blog. ©2016 Seagate Technology LLC. All rights reserved. Printed in the United States of America. Seagate, Seagate Technology, ClusterStor and the Seagate logo are trademarks or registered trademarks of Seagate Technology LLC or its affiliates in the United States and/or other countries. All other trademarks or registered trademarks are the property of their respective owners. Seagate reserves the right to change, without notice, product offerings or specifications.